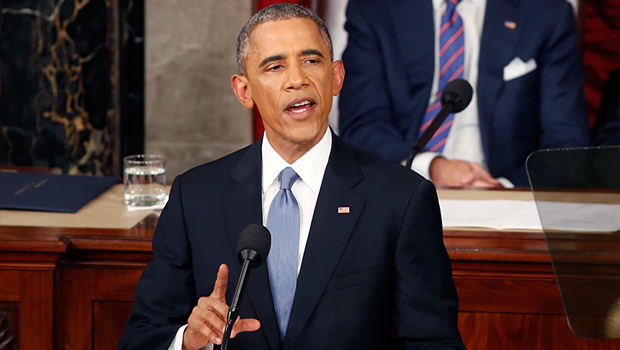 State of the Union 2016: Will Obama shape his legacy, like other two-term presidents? After leading the United States for seven years, President Obama on Tuesday night will deliver his final State of the Union address -- perhaps his last great opportunity to command the nation's attention. The annual address, typically delivered before a joint session of Congress, usually gives the president an opportunity to encourage Congress and the American public to embrace his policy agenda. However, for a president at the end of his second term, the State of the Union gives him a chance to define his legacy in his own terms and make the case that the next president should build on that legacy. President Obama intends to do that by arguing that he has left the United States poised for a bright future. "There is no country in the world that is better positioned to capitalize on the kind of opportunities we see, whether it relates to our national security or it relates to our economy than the United States of America," White House spokesman Josh Earnest explained Monday. "That ultimately is the essence of the message the president wants to deliver, precisely because the next president needs to understand that, and the American people need to understand that," he continued. "They need to have an accurate assessment of what our challenges are, what the risks are out there. But also to have an adequate understanding of what opportunities are available so that we do not miss them and we are at a critical juncture in our history that we've spent seven years digging out of the worst economic downturn since the Great Depression." While Mr. Obama will urge the nation to seize the opportunities his administration has created, he won't dwell on making the final "victory lap" that's expected of an outgoing president, Earnest insisted. "If the president wanted to give a speech about what the president has been able to do over the last seven years, we'd have plenty to talk about," the White House official said. "But the president is still writing a speech that is not about him. It is about the American people and about the future of our country and about how our kids and their kids are going to fare." This creates a contrast with two of Mr. Obama's predecessors, Ronald Reagan and Bill Clinton. As the first president to lead the nation for two full terms since President Eisenhower, Reagan used his final State of the Union address to make the closing arguments for the ideology behind the Reagan Revolution: "Our record is not just the longest peacetime expansion in history but an economic and social revolution of hope based on work, incentives, growth, and opportunity," Reagan said. "A revolution of compassion... a revolution that at a critical moment in world history reclaimed and restored the American dream." Similarly, Clinton boasted in 2000 that "the state of our Union is the strongest it has ever been." He made the case that the nation's prosperity could be attributed in part to his center-left style of governance. He specifically highlighted accomplishments like shrinking the federal workforce and turning deficits into surpluses while maintaining investments in areas like education. "We restored the vital center, replacing outmoded ideologies with a new vision anchored in basic, enduring values: opportunity for all, responsibility from all, a community of all Americans," he said. "We reinvented government, transforming it into a catalyst for new ideas that stress both opportunity and responsibility and give our people the tools they need to solve their own problems." McGill University History Prof. Gil Troy argues that like Reagan and Clinton, Mr. Obama should use his last State of the Union address to help define his legacy. "By branding his presidency and explaining his rationale, Obama could advance the longstanding debate about what government should and should not do," he wrote for the Brookings Institution. For Mr. Obama, however, it will be harder to make a compelling case for style of governance than it was for Clinton or Reagan. For one thing, the nation is simply less satisfied with his presidency: Just 44 percent of Americans said they approved of the way Mr. Obama is handling his presidency in a CBS News/ New York Times poll conducted last month. By comparison, 56 percent of Americans approved of how Reagan was handling his presidency in December 1987. Similarly, 56 percent of Americans approved of how Clinton was handling his presidency in December 1999. Furthermore, Troy told CBS, Mr. Obama has yet to truly define the philosophies that drive his policymaking. "The fact that Obama hasn't done this, and has been resistant to doing it, makes it that much harder to do it at the top of the Ninth," he said. Given these challenges, Mr. Obama could take a page from former President George W. Bush's playbook. In January 2008, just 29 percent of Americans approved of the way President Bush was handling his job as president, and 75 percent said the nation was on the wrong track. Consequently, Mr. Bush opened his final State of the Union address with a conciliatory tone. "Our country has been tested in ways none of us could have imagined," he said. "We faced hard decisions about peace and war, rising competition in the world economy, and the health and welfare of our citizens. These issues call for vigorous debate, and I think it's fair to say, we've answered the call. Yet history will record that amid our differences, we acted with purpose, and together we showed the world the power and resilience of American self-government." Yet Mr. Obama on Tuesday night plans to strike a decidedly optimistic tone, administration officials say. "There are certainly [reasons] for people to be concerned" about issues like the economy and national security, Earnest said Monday. "The president's reaction to that though, is that he has never been more confident about our ability to confront successfully those challenges. But also, never been more confident about our capacity to capitalize on the opportunities that exist for this country." Earnest also argued, however, that GOP rhetoric has aggravated the public's concerns. "The willingness of those candidates to exploit people's fears and insecurities and anxieties has infected the political debate," he said. Troy warned that if Mr. Obama sounds too optimistic, without acknowledging the legitimate concerns of the public, it will add to his "credibility gap." "One of the things Obama has to worry about is having happy talk that doesn't resonate with the American mood," he said. The president has already taken heat in recent weeks for not responding forcefully enough to events like the mass shooting in San Bernardino, California. The president's cool demeanor has given oxygen to Donald Trump's presidential campaign, Troy argued. "Trump has positioned himself as the truth-teller who doesn't play games about what's really going on in America, whether it's with regard to terrorism or the economy," he said. While he must remain sensitive to the mood of the nation, Mr. Obama still has an obligation to explain and defend his style of governance, Troy argued. "The nation would benefit from Obama saying...what's the role of government and the relationship between the federal government and the individual citizen."